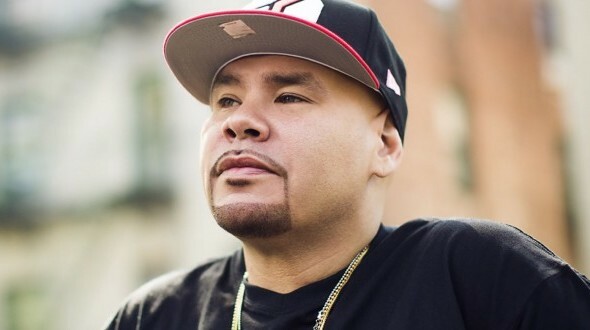 Earlier this week, Fat Joe put the Hip Hop world on standstill when he released the official remix of his hit single “All The Way Up,” featuring Jay Z. Both New York natives, Fat Joe and Jay Z have been pillars in Hip Hop, but had never formally collaborated until now. Rumors recently began swirling that a possible remix was in the works, especially after the two posed a for flick during Beyoncé’s Formation tour. On Tuesday night, everyone was locked into TIDAL, as the record was premiered via the streaming service. Later on, Hot 97’s Funk Flex hit the airwaves and made a movie with his trademark flare. TheSource.com had the opportunity to chat with the Don Cartagena about how this massive record came to fruition. The question that has been on everybody’s mind is how did this Jay-Z record come about? We heard rumors in the past few weeks that there might be a remix in the works but no one knew for sure. “All The Way Up” is one of the hottest records in the country right now and this just took it up another notch. What are your expectations for the album Platas O Plomo? FJ: The album is incredible my brother! The album is phenomenal from A to Z. No stone unturned, no bar unturned. My brother, this album is incredible. Stay tuned it only gets better. I don’t know because to me “All The Way Up” is incredible but a lot of people say the next single we’re dropping is even better than this. People hear it and say “oh that sh*ts better than ATWU.” Get ready for some more paralyzation. This is somewhat reminiscent of when “Lean Back” dropped and everyone started doing their own freestyles to the beat [Fat Joe Laughter]. In less than 24 hours there were quite a few freestyles to ATWU. What do you think of all the freestyles? FJ: I think we spoiled all of their plans. I think they all had their remixes that they were going to drop and then out of nowhere the Jay-Z, Fat Joe, Remy dropped and they were like “oh my God, we gotta let this sh*t go.” I’m all about the culture, brothers freestyle on it, God bless. Do whatever you have to do. I’ve spit freestyles on people songs so I don’t care. It’s about having a great time. Thank you for choosing our song to freestyle over. We haven’t seen Funk Flex this amp in a while. What was his reaction when you told him that this song existed. FJ: Oh my God, it was physical harassment [Laughs]. I thought he was going to catch a f**king heart attack on the radio. I was like my dude Flex is going crazy! But it is an event, given how many years of my life i’ve given to Hip Hop, all the obstacles Remy has overcome. Jay-Z, all he’s done for the culture and we have a New York anthem! It was addressed the right way. That’s how it was supposed to be addressed and Funk Flex did the right thing by the record. FJ: I don’t lie. Nobody will ever catch me in a lie. When I say things it’s because it’s the truth but what I regret is the fact that Anthony Mason has passed away and he’s a legend, somebody that I idolized, someone I really look up to. Seeing that it got people upset really hurt me because I have nothing but the utmost respect for him and his family and Charles Oakley. It hurt me a lot to know that I offended people that I really love. In terms of longevity, you’ve been able to craft out hit records in so many different eras in Hip Hop. Most artists are lucky enough to just have one. What is it that you have, that so many other artists don’t? FJ: Well you just answered it yourself my brother. I happen to be one of the greatest of all time.